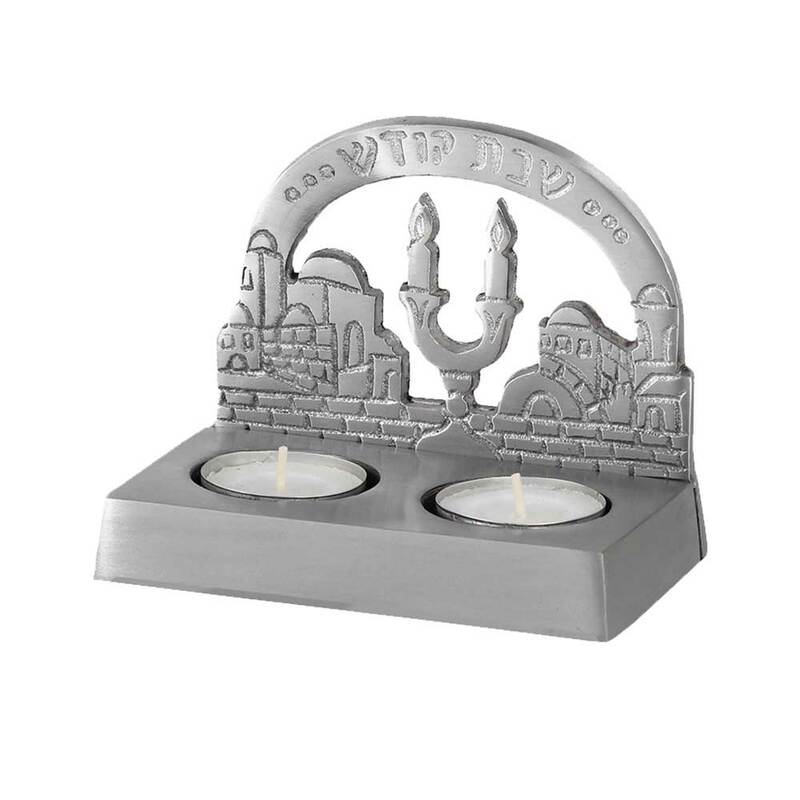 Aluminum Shabbat Tealight Candle Holders. Jerusalem theme is etched into the face of this item. Candles included. A small but very sweet and functional gift good for home or travel.